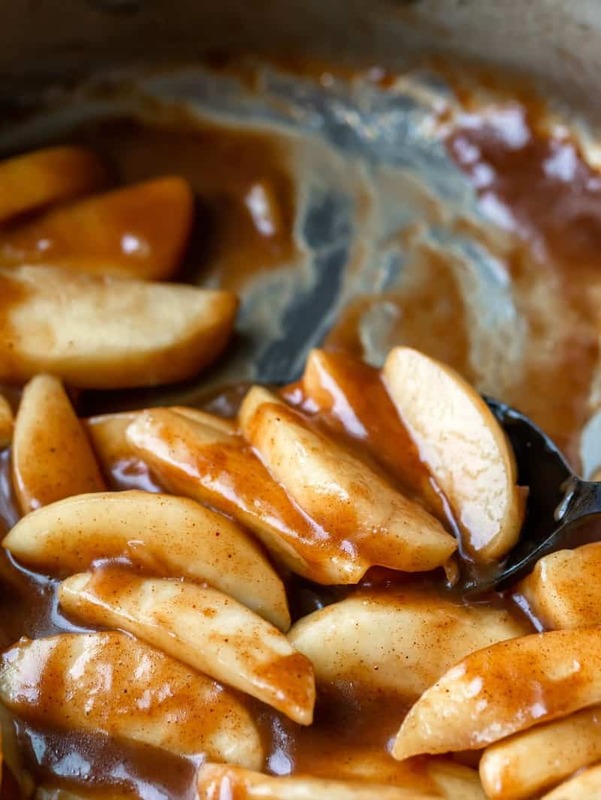 Cinnamon apples are an easy stovetop recipe for making warm cinnamon apples. 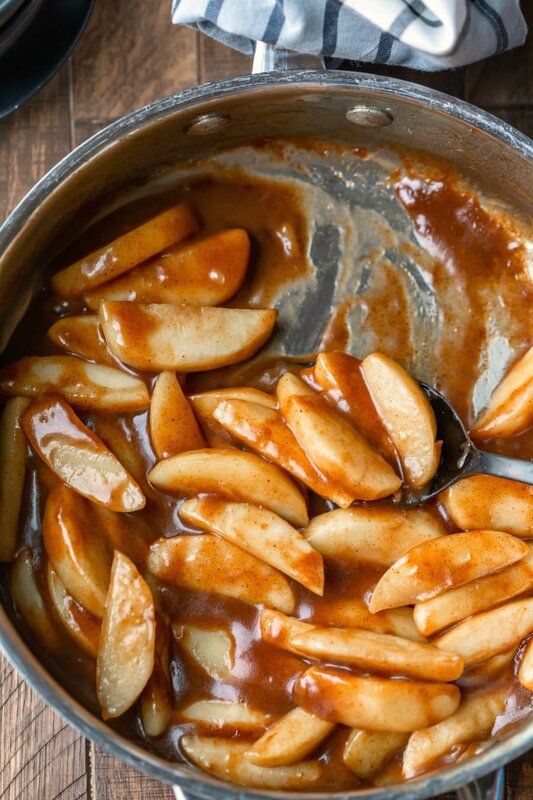 These apples are a yummy topping for everything from pork chops to ice cream! Originally published 1/29/12. Updated with new photos and tips 8/21/18. I’m always looking for ways to get extra fruit and veggies into our diet. 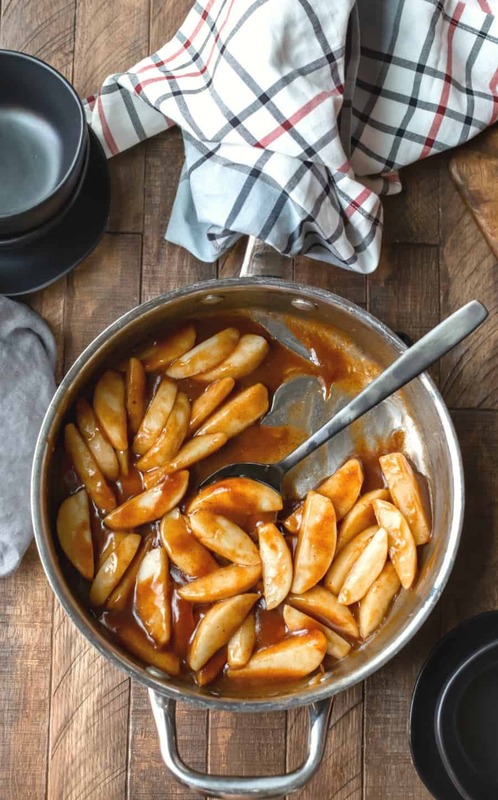 These cinnamon apples are a simple, tasty alternative to homemade applesauce. 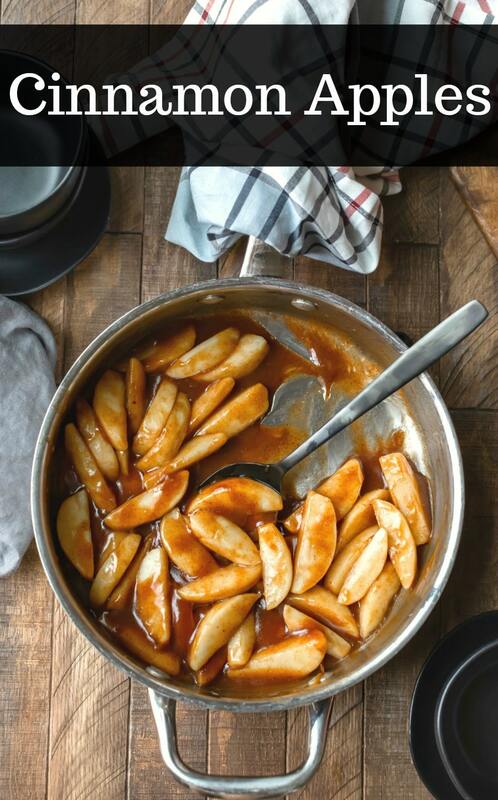 These apples are so easy to make! Just slice up the apples, add the butter, saute, stir in the sugar and spices, add the water/cornstarch mix, and then boil for a couple minutes. Can I use a different flavor? Instead of using vanilla, feel free to stir in a tablespoon or two of other flavorings such as fresh orange juice, brandy flavor, or any other desired flavoring. Can I use apple juice instead of water? Sure! Feel free to use cold apple juice or cider for a stronger apple flavor. I’ve made these apples to go along with everything from pork chops to ice cream. They can work with breakfast dishes like pancakes, waffles, and French toast. They also go well alongside savory dishes like roast chicken, pork loin, and pork chops. Or just enjoy these cinnamon apples by themselves. 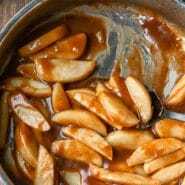 If you’ve tried this cinnamon apples recipe, don’t forget to rate the recipe and leave me a comment below. I love to hear from people who’ve made my recipes! You can SUBSCRIBE to receive my latest recipe newsletters or FOLLOW ME on FACEBOOK, INSTAGRAM and PINTEREST for even more delicious food. Cook, stirring regularly, until apples are almost tender, about 6-7 minutes. Dissolve cornstarch in water; add to skillet. Stir to combine. Stir in brown sugar and cinnamon. Boil for 2 minutes, stirring regularly. Remove from heat and stir in vanilla and any other desired flavorings. *Try substituting cold apple juice or cider for stronger apple flavor. **Feel free to stir in a tablespoon or two of other flavorings such as fresh orange juice, brandy flavor, or any other desired flavoring. Fantastic! Made the apples to go with ice cream, everyone wanted more!